Many of you already know Rae from her interactions with customers in the store. 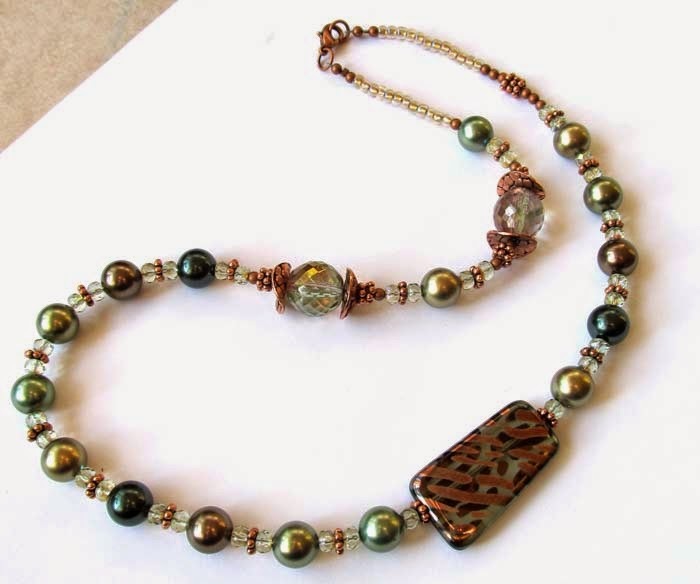 Did you know she is also one of our multi-talented instructors with a passion for wire? Rae has always been a creative person. In fact, creativity was a staple in her home while growing up. "My eldest brother, my sister and I made Christmas cards and presents for family members yearly. It was something we looked forward to and those on the receiving end were just as enthusiastic. "My maternal grandmother sewed, decorated cakes and had a wealth of craft knowledge and skills. My mother also sews and crochets. In fact, in the past I used to design my clothing for my mother to sew. 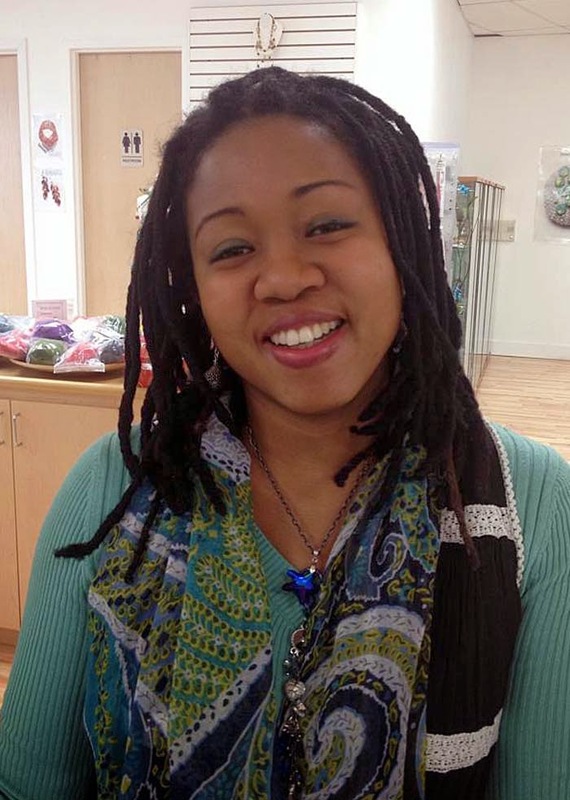 It was through my parents’ encouragement that my sister and I learned to sew," explains Rae. "My dad worked in the oil company and initially he repaired miniature instruments. There were times when he was required to make the parts and the tools. Out of this my fascination for tools grew and my desire to design jewellery with the materials that were before me was born. 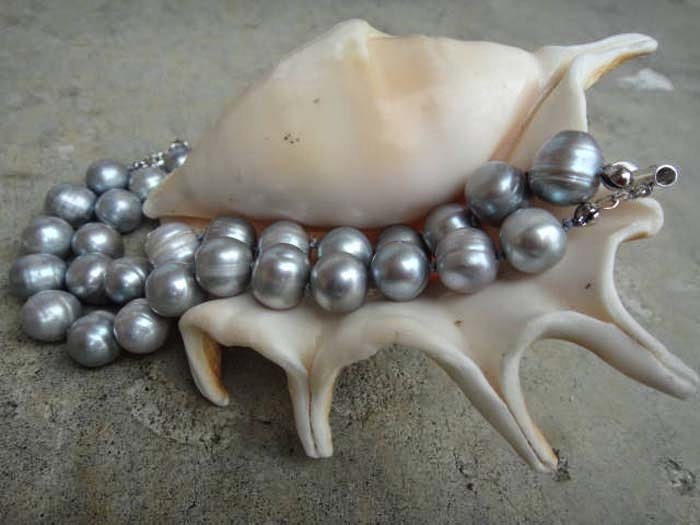 "I was always fascinated with jewellery and the thought of wearing pieces that others had was not something I liked. I wanted my pieces to reflect my mood, my personality and my desire to be natural. 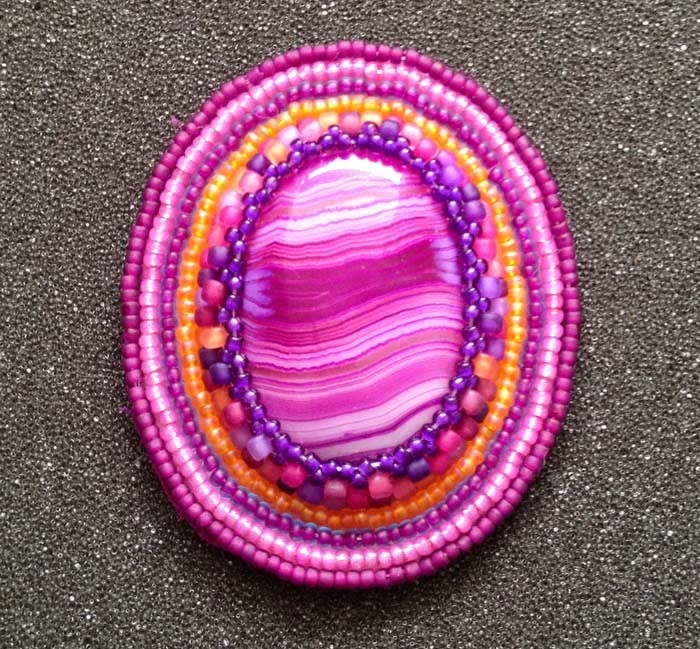 My very first piece was made from a bamboo and wooden beaded placemat that was my aunt’s. 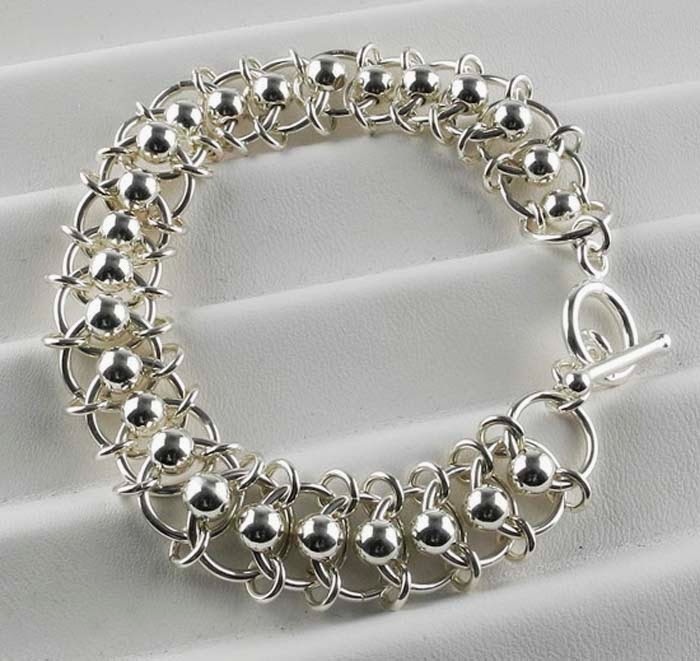 It broke and I was elated and out of that a bracelet was made." Inspiration for Rae's creations from many sources. "Nature provides me with so much inspiration. 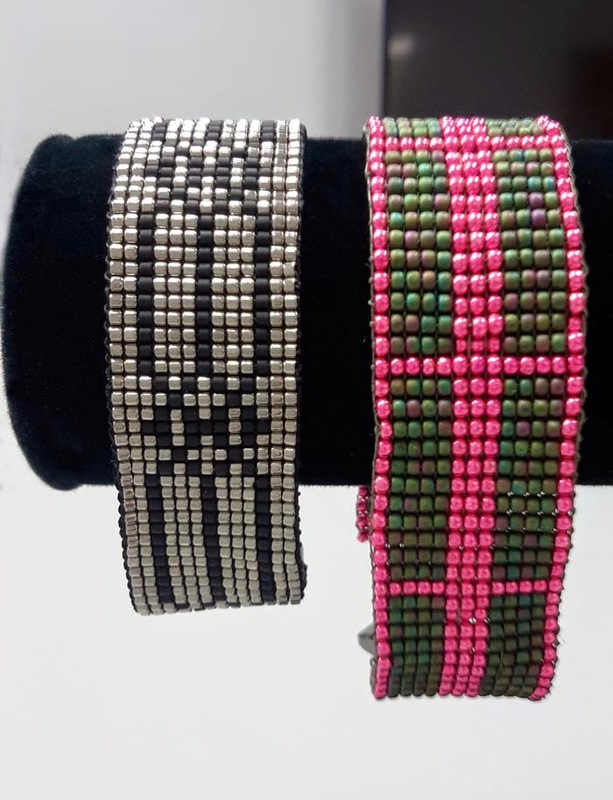 I am from Trinidad and Tobago and I didn’t have fancy beads at my disposal initially and we only had a few bead stores. I used found and discarded materials – seeds, bamboo, fabric, beach glass and scraps of leather from a friend who made slippers and sandals. When I went to teachers’ college my thesis was based on using found and discarded materials to make jewellery with students at primary level," says Rae. When I immigrated to Canada, surfing the internet had become a way of life because I had more time and to this day Google has become one of my best friends. I also take classes – to teach I also have to learn. Colour and the raw materials, books, magazines and even a walk in the malls for “eye candy”. 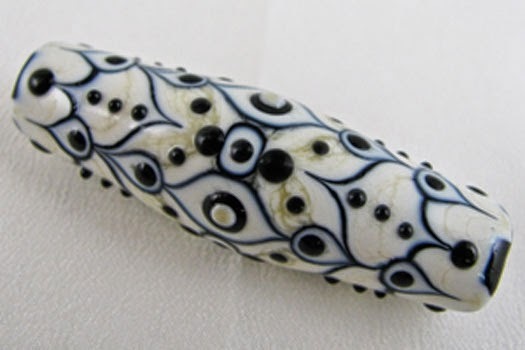 Working at BeadFX also helps especially when I’m restocking, picking orders and interacting with customers." Rae's class project ideas take form in various ways and she actively works on recording those ideas for future uses. "Sometimes an idea pops into my head – there’s no light bulb above my head like on television. There are times when I just let the raw materials speak to me and I just play. It’s a rhythm, a fusion of what’s in the mind’s eye and the raw materials, the tools that bring those ideas to life," she says. "There are times when I just pray, I ask, believe and thankfully receive. "I sometimes sketch (ideas). There was a time I slept with a notebook under my pillow and drew in the dark as the ideas came. In the past I always felt the need to have a pen and paper within reach for when the ideas came. In fact, some of my best ideas came while I listened to a lecture or while I was at church. My signature palm tree was conceived while I was going to secondary school over twenty years ago. At other times I just leave it alone to be seen only by my mind’s eye, because I’ll run out of ink and paper (smile)." When asked about what she likes about teaching, Rae says, "I enjoy sharing knowledge with others – it’s in my blood. From very early I was taught by one of my neighbours in Trinidad, of the importance of “passing on the craft to others” because if we keep it to ourselves there will be no growth. I totally enjoy when my participants acquire the techniques and express their own creativity and this also triggers my inspiration." Rae continues, "Unfortunately, I cannot teach everything. 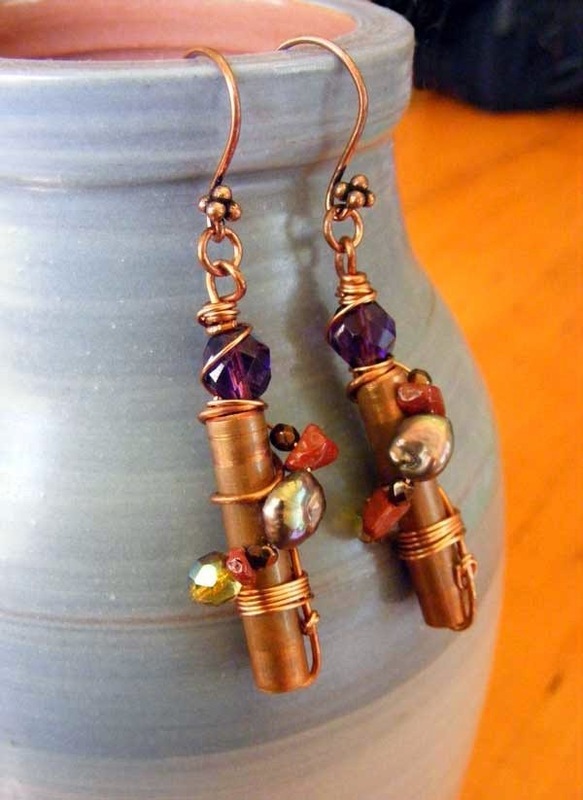 For example, I once designed a pair of earrings and thought about turning it into a class but it would have been too difficult to type the instructions." Rae's advice to others who create? "Make time to create, spend time creating – if you love it don’t wait till retirement. Do a little as often as you can. I also encourage others to practice their newly acquired skill or skills and to approach it like children - without fear." Simply cut to length, fuse the ends right away with a lighter - because this stuff frays like a s-o-b. Either wrap the end to be cut with tape and fuse, or hold tightly. Either way - a quick hit with a lighter or candle flame will make the ends fuse and become stable. 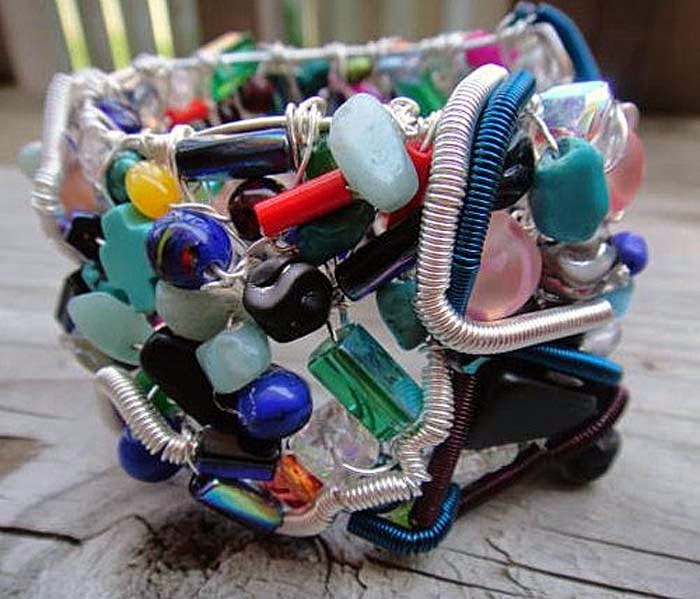 Add the clasp with jumprings, and you are good to go! Good for you, you’ve decided to learn a bit more about running a business! Yay! Knowledge is power after all isn’t it? Hm, where to start? You try to read some business books or websites, and they throw around these terms that you have no idea what they are. Nor do you understand how they relate to your little crafty venture, there are too many acronyms and graphs. A lot of the time it seems like the information out there has nothing at all to do with what you are trying to do - sell the fabulous work you make in your spare time. You aren’t a major corporation nor do you ever want to be. Yet those major corporations, and all the small to medium size business have exactly the same problem that we do. Starbucks and Sailorgirl Jewelry (my company) have the same goal - we want to sell our products to one customer at a time. We just do it on different scales. While Starbucks has an army of MBA’s figuring out how to achieve this goal, I have one person - me. So I read those books that use the big companies as examples, and I try to understand what they do and how it can apply to me. Since I’ve already read the books, I thought I’d pass on what I’ve learnt. Starting today there’s a new series here on the Business Chat. It’s the WTHI series. Every now and then, I’ll write a post defining a business term that it’s important to know. Better still, I’ll explain what this term has to do with you achieving crafty success. “What the market will bear” is a phrase you hear when people talk about pricing. Basically it means what people are willing to pay. It is not the cost of making the product. It is not what the product should cost (knowing what it cost to make). It is not the price that the maker wants to sell the product for. Nor most times, is it the cost that people say what they will pay. (What people say and what they do are 2 very different things when it comes to spending money). What the market will bear is the price that people will open their wallets and pay for. This cannot be calculated with a formula. It changes depending on the season, the economy, your competitors and the whims of the universe. Large companies do a LOT of research before releasing products. There are focus groups, surveys and trial releases. We do not have these options. For us, it’s a guessing game when you start out. The longer you are in business, the more you know your target market, the better you get at working out “what the market will bear”. It means that you need to find your sweet spot for pricing your work. If you price it too high people won’t buy it. If you price it too low people won’t buy it. (Or they will buy a lot of it but because you’ve priced it too low you lose money and go out of business.) It’s a lot like Goldilocks. You need to find your just right pricing. Often “what the market will bear” is based on supply and demand. If you have the only cure for cancer in the world, the market will bear a very large price tag. If you have the same “Made In China” stretchy mittens that every dollar store has and you’ve embroidered on a flower, well, the market isn’t going to bear much is it? For handmade goods look around to see what your competitors charge. Keep in mind, just because they are setting a certain price, it doesn’t mean that they are charging the right price. A lot of people complain of the very low prices on etsy.com. They are low, sometimes ridiculously so. But just because someone else is willing to lose money doesn’t mean that you have to. If you think the prices at a certain market (online or bricks and mortar) then don’t sell there. If you find that a certain market (like etsy) is pricing work at a too low price, perhaps it’s not the market for you. Knowing what the market will bear means that you must be selling to the correct market. Imagine you are opening a high-end coffee shop and you’ll be roasting your own coffee and making the cookies from scratch. You look for a location. Do you open in the ritzy neighbourhood where rents are expensive but so are the other shops? Or do you open in the university neighbourhood full of students who can afford one beer on a Friday night? The same cup of coffee will cost almost double in the ritzy neighbourhood because these are people who understand what you are doing and have the money to pay for it. In order to price your work properly you have to understand who you are selling to. Find your ideal customer. Then find where that customer shops. Then look at see what sort of prices that market will bear. It’s a start. Next week we’ll go through the process of finding your ideal customer. New - cork leather! And boy, is it yummy! Just as super easy to use as the leather, matte finish, and a nice, smooth, silky feel to it. A little stiffer and springier than the regular leather, I think. 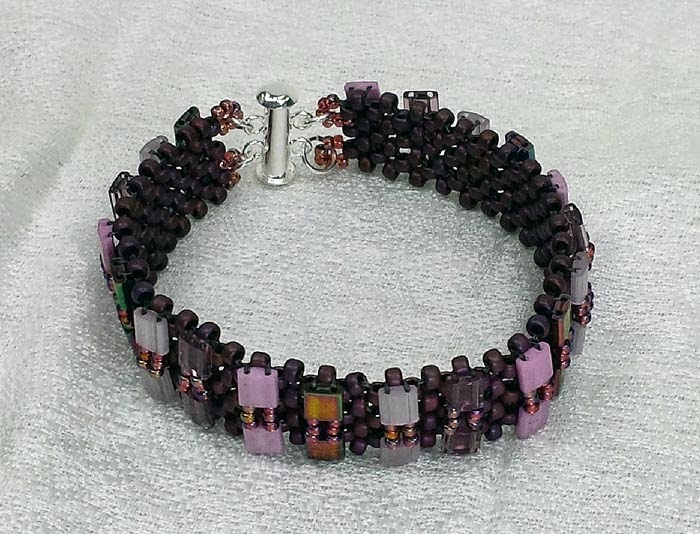 Cut the cork to length - I used 8 inches, add the beads, and dry fit the clasp, then glue on. The beads were a little slidey - so I glued the end two in place. Have fun with this "leather" - I think it might be addictive! On sale this week - go bright or go home. A Corking Good Tale - Leather you Believe it or Not! Bob, his name was; and he was a smooth stud - goldplated even - when he rolled into town. Occasionally, he got hammered, and then, inevitably, he was drunk and out of cash, or Hammered Baroque. He liked to Hook and Hook up with Rosaline, and her old mum, Vintage Rose. They used to go sailing, and one day while they were fishing amongst the Dark Red Coral for Lobster Claws and Partying Hearty, an idea came to him, straight out of the seafoam. This idea is worth a mint, it's a natural, he thought to himself, it will carry me to the top, or my name's not Bob! They sailed back to the Warm Earth before the Sunset Orange had turned to Fiery Red. His gal wanted to go home, she was feeling like a Dusty Rose, but he said, "No, we've got to Saddle Up, I've had a corking good idea. It will knock you on your flat end, you'll be becharmed by it!" "Oh puhleez. What are you talking about?" Rosaline replied, she wasn't feeling in the Indian Pink and she had a headache like she someone was tightening a 4 mm Plain Band around it. "I'm going to cross a cow with a cork tree and make CORK LEATHER" he cried! She looked at him, "Have you taken Leaf End of your senses? "No" - he said, "Listen, it's perfect. It will be soft and warm and natural like leather, but it will come from a tree - everyone will love it." "But you can't cross a cow with a tree," she said, absolutely thunderstruck! 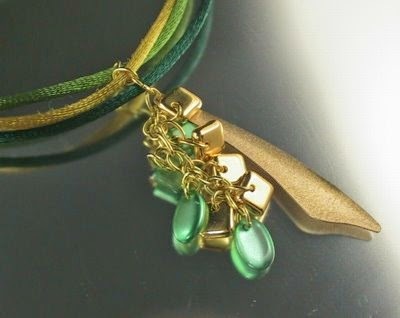 "If Swarovski can cross a Crystal with a Stalactite and make a Crystalactite, I don't see why I can't make Cork Leather!" he replied. "You know," she said, looking at him, "Whatever it is you have, I'm sure they make an Awareness Ribbon for it." And with that, she Needle-Filed for divorce and went off to work at the Leather Works. But it's absolutely true - we have Cork Leather, a wonderful, soft, vegetarian answer to leather, and stalactite inspired crystal spears: Crystalactites. So there. Click on a link or image above, or get started with all the new items here and get creating! Last day - who doesn't want some flowers? 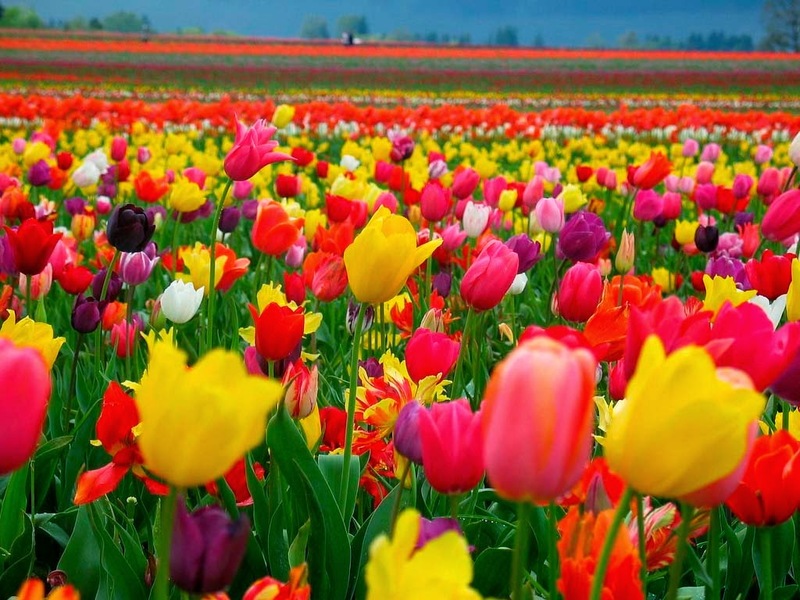 We've made it through Winter and Spring is bright and exhilarating! Those May flowers are starting to sprout and soon there will be bursts of colour everywhere. 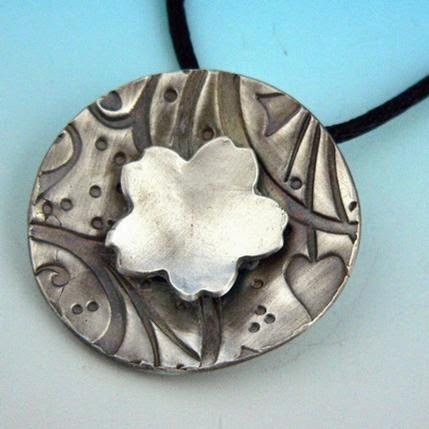 We're blooming at BeadFX too! 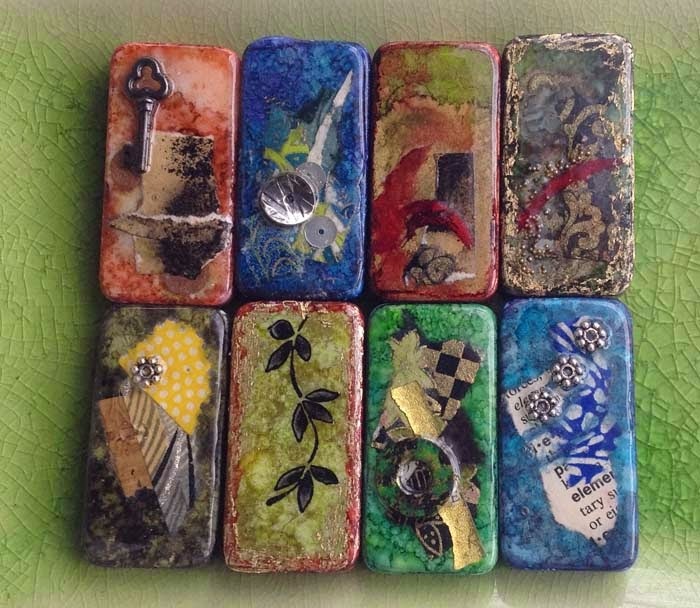 Our instructors are exploding with new ideas and classes are flowering with new projects. 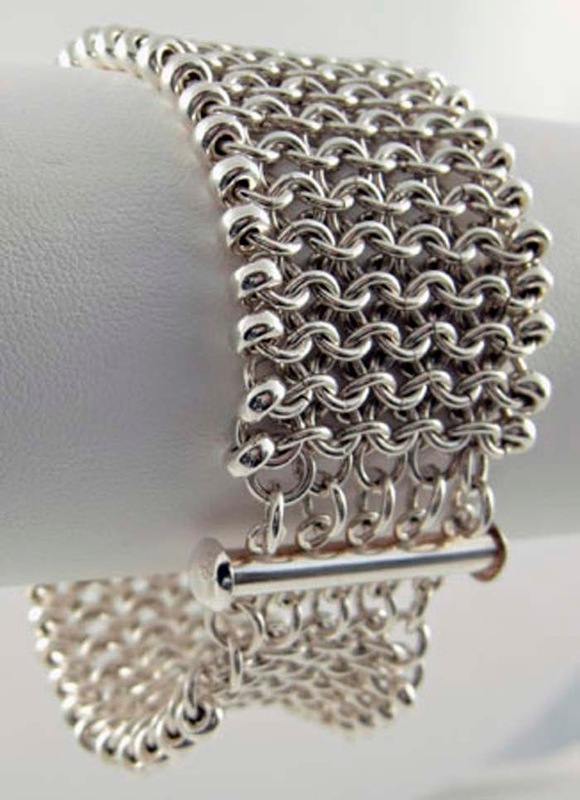 Marilyn Gardiner is back with two new chainmaille weaves and Pamela Kearns has a new embellished right-angle weave cuff to share. 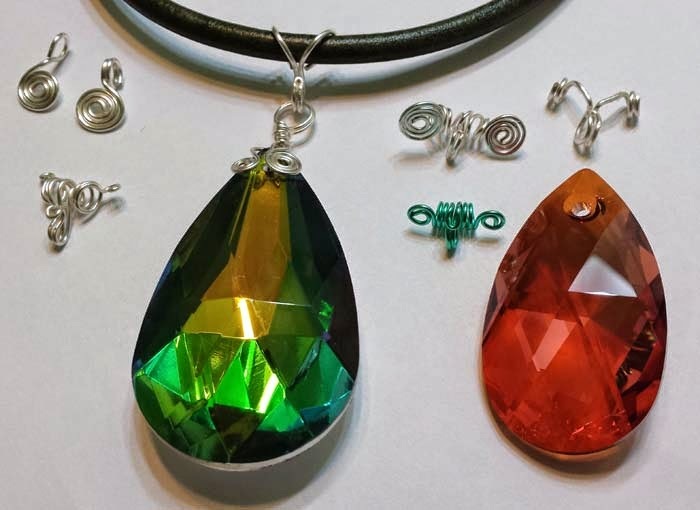 Rae Huggins will show you how to use wire to create unique and different bails for your pendants. 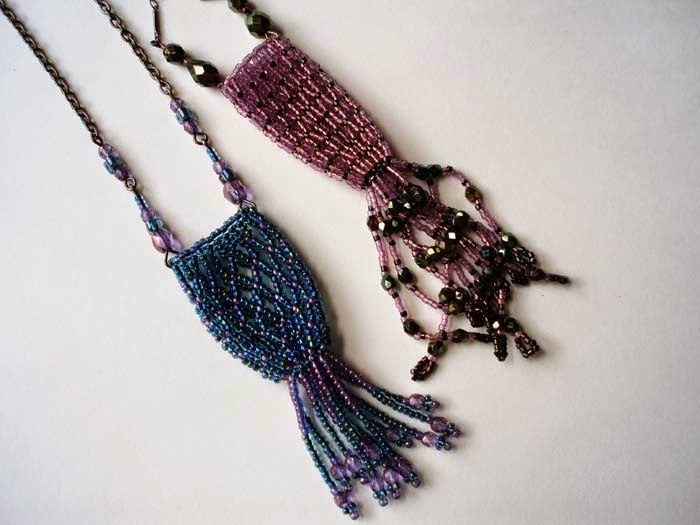 You can also join Tracey Neidhardt for a new project in vertical netting - a Victorian-style Netted Amulet Bag. 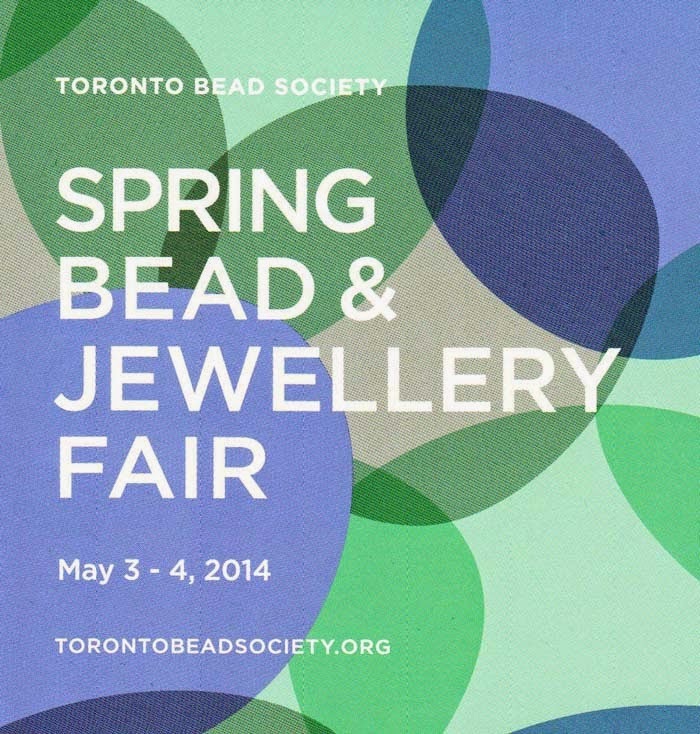 BeadFX will be participating in the Toronto Bead Society's Spring Bead and Jewellery Fair. 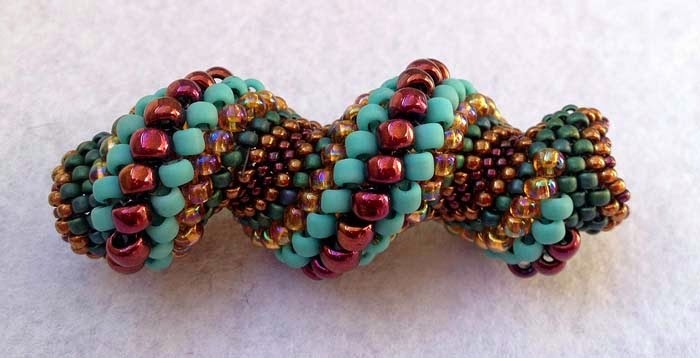 We'll have lots of seed beads, findings and other goodies at the show for you. For complete information about classes and events, go to our website under 'Classes' and follow the links to the May calendar. 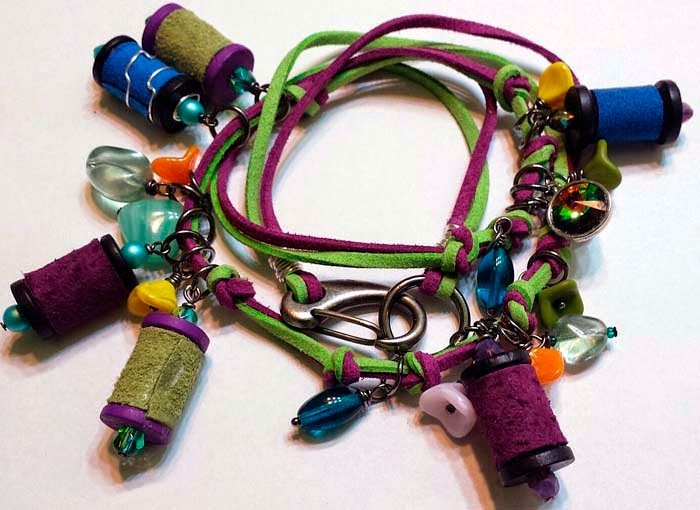 Fibre and Beads Meet at the Knitter's Frolic! 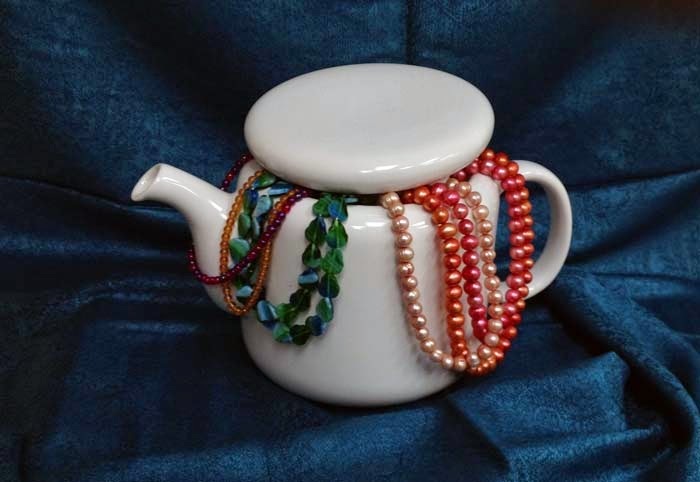 This week's sale - celebrate the seedbead! All Hail the Mighty Seedbead! Carol Cypher's Class - Class Fees Reduced! Spring Classes! Are They Here Yet? The Business Chat - Happy dance, you're in!